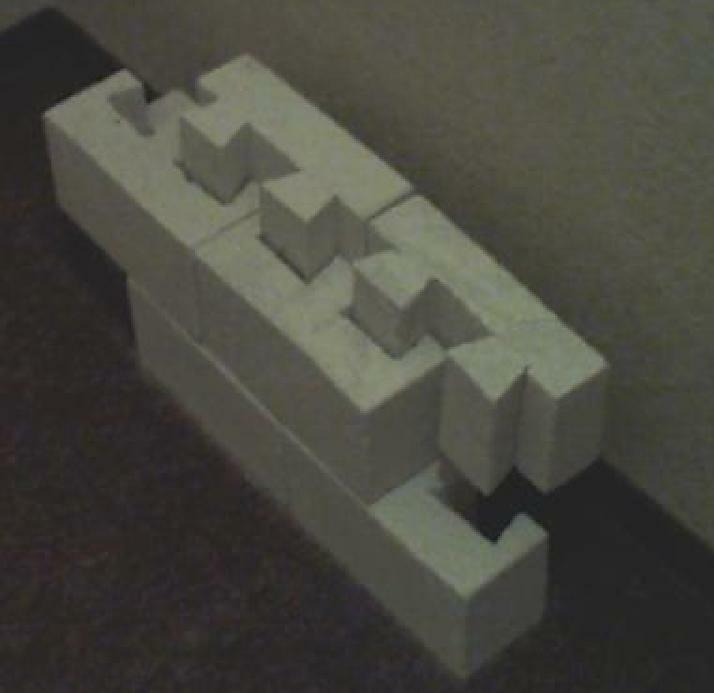 final product : a mortarless brick with the mechanical capabilities to attach itself with no need of secondary materials. in pairs when not in use. This particular brick is an Autoclaved Aerated Concrete (AAC) which provides great performance in sound and heat isolation.